In an interview posted on the State Duma’s website on April 6th, the speaker of the lower house of parliament, Vyacheslav Volodin, proposed various amendments to the Constitution. His proposals aimed at strengthening parliament’s role in forming a government. The interview provoked fresh discussion of what constitutional reform could actually look like. Tangentially, some observers began asking about Volodin himself. Does he have presidential ambitions? Questions swirl around whether Volodin acts autonomously. Does he do so with the sanction of Putin? Is he a successor or a retiree who has fallen from grace? What, then, is his future and place in the system? The answers would explain the position of this figure. 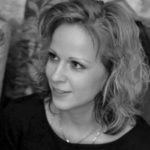 They would also significantly uncover nature of Russia’s wider political processes. To understand Volodin, it is crucial to know a few key points. His resignation from the post of first deputy head of the presidential administration is a watermark worth noting. This position was that of a “curator of domestic policy.” He left it in October 2016, almost two and a half years ago. This represented one of Vladimir Putin’s most controversial personnel decisions. He dismissed Volodin, a key figure responsible for internal political processes straight after a relatively successful Duma campaign. The United Russia party had strengthened its position in the State Duma; it had received 105 more seats and a constitutional majority. This should have strengthened, and not weakened, the position of the “curator”. But Putin decided otherwise. 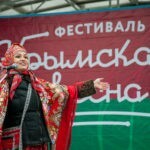 The transition to the post of Speaker of the State Duma is a catastrophic demotion. It is a humiliation for an architect of the Russian political field for the last half decade or so. This is the loss of political subjectivity, the transition from a god to mere mortal. You can search for the secret meaning of this decision as much as you want. But there is no covert ingenuity in this case. Volodin was dismissed from the Kremlin because Putin was not satisfied with his style of managing political processes. His reliance on more pronounced competitiveness was ultimately unwelcome. The same goes for his moderate tolerance of non-systemic opposition. For example, Navalny’s participation in the mayoral elections in Moscow in 2013. 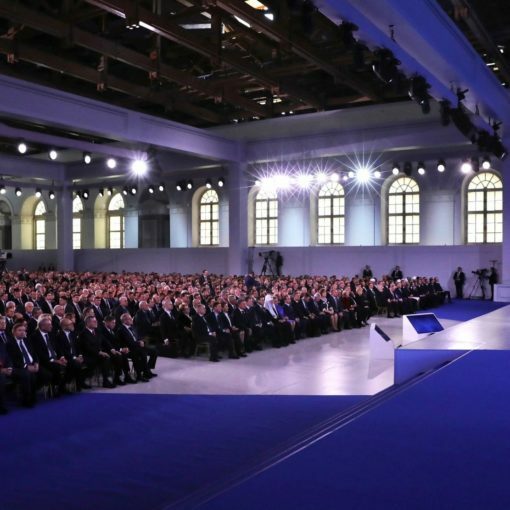 Volodin had also opened the door to political movements to stand against “United Russia” and governors (as well as All-Russia People’s Front and governors). His flexible use of the municipal filter seemed problematic, like when the governors were forced to “share” the signatures of municipal deputies with the system opposition). Volodin’s approach led to increased conflict within the system. 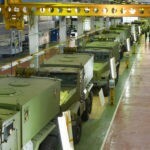 It provoked complaints and denunciations. 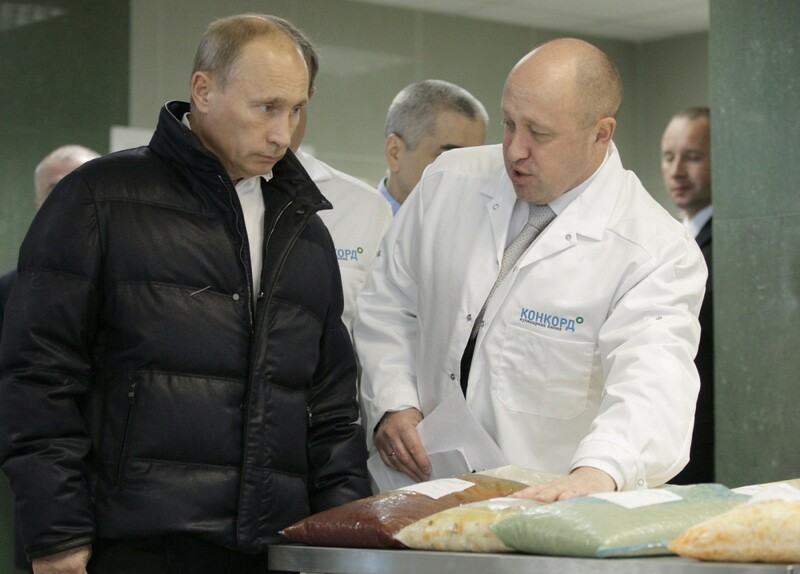 These irritated Putin, and reduced the predictability of political processes. 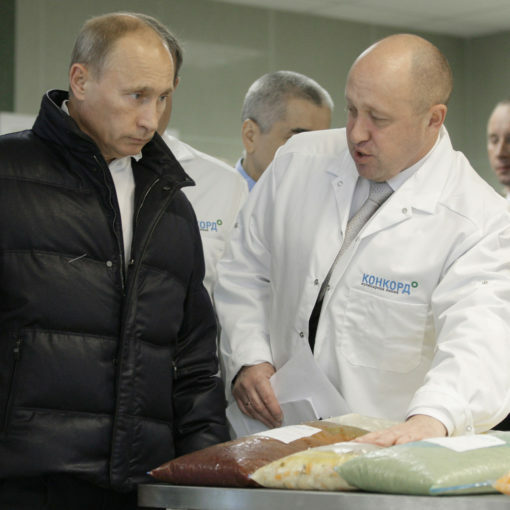 In Putin’s eyes, Volodin didn’t look like a technocrat manager. He resembled a politician, so he was sent to a place where his presence seemed more harmonious — to parliament. In and of itself, this kind of dismissal excludes any serious discussion of Volodin’s prospects as Putin’s successor. He was distanced from the Kremlin as an alien element that did not fit into Putin’s depoliticized reality. 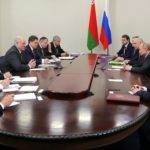 The second significant factor is Volodin’s willingness and ability to discuss with Putin and offer him strategic solutions to matters that are taboo for Putin. This also applies to the amendment of the Constitution. In the backdrop here are scenarios of the transit of power, and solutions to the “2024 problem”. It has been said that Volodin considers himself the most suitable successor to Putin. Not as his alternative, but as the most adequate man to follow through on Putin’s policy. A mix of meeting the needs of the outgoing leader, protecting him from possible risks down the line. 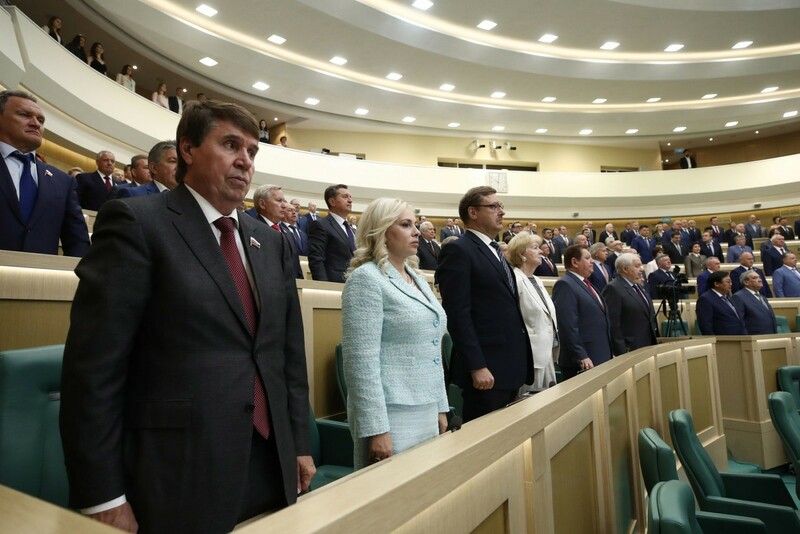 Volodin is hoping the speaker gains a special position within the system and bargains himself the right to enter into dialogue with the regime about its future. None of those close to Putin can afford this. This is Volodin’s political exclusivity, but this is also a confirmation of his remoteness from the president, his lack of awareness of the reality of discussed issues of political planning for the mid-term. 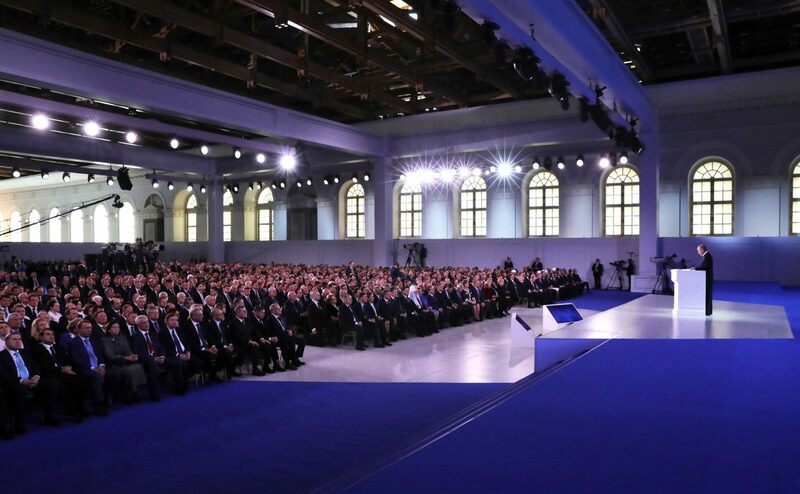 This leads only to one thing — a unilateral nature of the “dialogue” when Volodin is allowed to speak, but the Kremlin is distancing itself from this in every way. 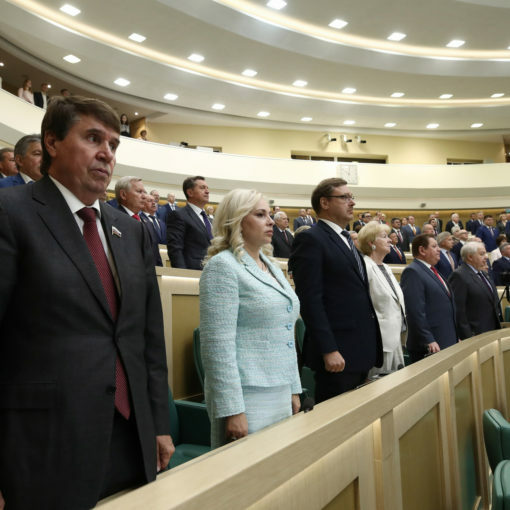 All initiatives voiced by Volodin on constitutional reform are no more than a one-sided application for joining the potential amendment process of the Constitution. He is lobbying the Kremlin to take into account the speaker’s opinion in the context of the president’s silence. 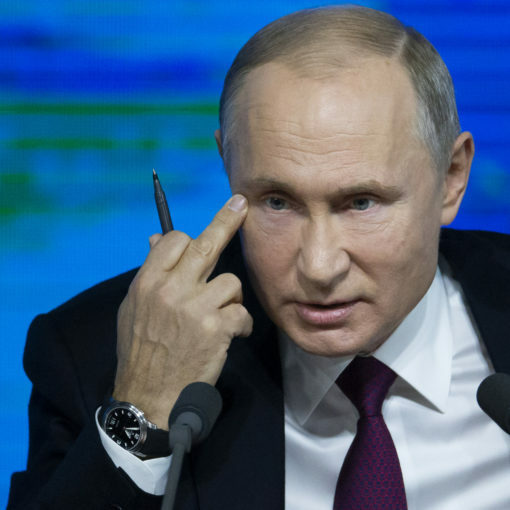 The third point: Volodin is the only speaker in Putin’s regime who has found himself in a prolonged protracted conflict with his successor as curator of domestic policy, Sergei Kirienko. One can argue a lot about terminology here. It is debatable whether it is a “conflict of teams” (as people close to Volodin like to say). Or is it not a conflict at all? Instead, a misunderstanding. Or perhaps a working disagreement. 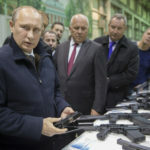 Still, the fact remains – Kirienko and Volodin have different approaches, different agendas, dissenting views on the ruling party, relations with the systemic and non-systemic opposition, personnel policy (especially with regards to the governors), political governance and political communications, and the issue of responsibility (one could recall a serious conflict between Duma and the Kremlin on the pension reform bill). Fourth, Volodin became the first speaker in Putin’s Russia to start his own game. He is perceiving the Duma as his platform with exclusive responsibility and even autonomy. In turn, he sees this as allowing him a pathway to enact his own ideas about relations with the Communist Party of the Russian Federation and the LDPR, with United Russia, the expert community and to create political alliances with other players (or at least create such an illusion), such as Alexey Kudrin, the Accounts Chamber, Sergey Sobyanin, as well as business actors, such as Sergey Chemezov or Leonid Mikhelson. Volodin has decided to promote his own bills. He is resurrecting support for old, seemingly unpromising initiatives of Duma MPs, whether it’s about a response policy to Western sanctions or about banning hostels in residential buildings. He allows himself to reprimand ministers, humiliatingly exposing them to the State Duma, and speaking out on sensitive issues of foreign policy. 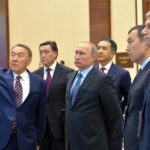 He has done significant work on improving the State Duma’s reputation, increasing the discipline of deputies and their responsibility, making a political contribution to the institutional strengthening of the lower house of parliament as a resource for strengthening his own positions within the system. 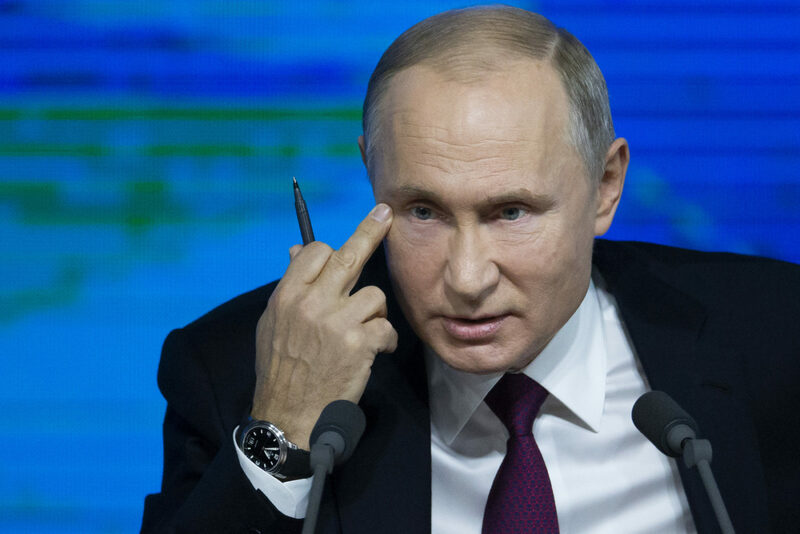 However, de-facto it rather did not strengthen but weakened his place inside the regime, making him more alien, too unnatural for Putin’s power. Volodin’s transformation from a chief political architect to an institutionally significant but politically weak part of the “vertical” with a subsequent shift to the role of an autonomized politician turns him from being a part of the system into a systemic opposition figure. 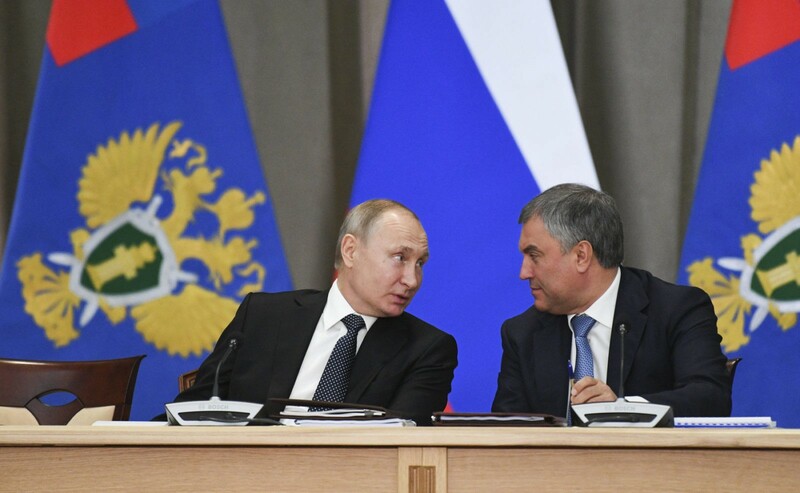 Even as a “United Russia” member and a speaker of an absolutely loyal Duma, Volodin in his political function is getting closer to the role of the systemic opposition. He is no longer a representative of party functionaries who often play the technical function of legitimizing decisions made in the Kremlin. If the regime continues to weaken, its ratings decline, and the number of protests grow, the ruling party United Russia may well face the problem of internal conflicts and splits. In this scenario, it would be logical for Volodin to head the “rebels” while maintaining loyalty to the president. Future scenarios regardless, Volodin de-facto became a systemic opponent. It could be a question of time – whether this process will take shape under the control of the Kremlin or against its will. In any case, the current speaker has ever less space in the technocratic environment that surrounds Putin.